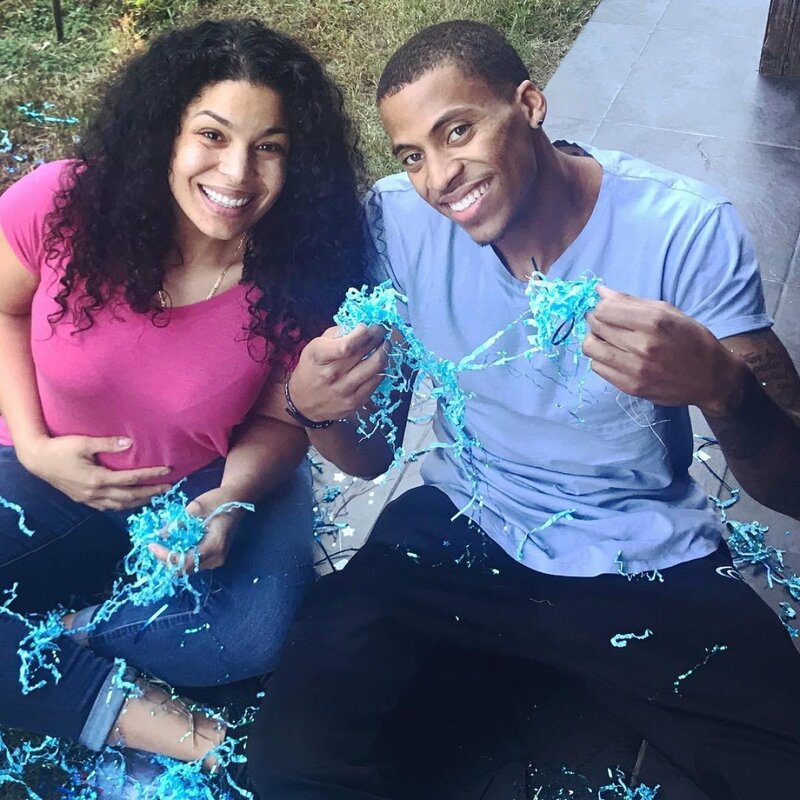 Jordin Sparks is officially a mother! The former American Idol winner and her husband Dana Isaiah have welcomed their first child, Dana Isaiah Thomas Jr.
Jordin, 28, gave birth to a baby boy on May 2 at 9:04PM, and she told People the moment was "incredibly miraculous" and "beautiful." "I don't know [if it] could ever be duplicated or replicated. Like you see it in movies, how emotional people get, but until you are actually sitting there it's beyond anything I've ever felt in my life." Dana Jr., nicknamed DJ, was born weighing eight pounds and 4.5 ounces. He also measured 21.5 inches long. "Ahhh, I'm getting chills just thinking about it," the new mother added. Jordin went into labor at the Natural Birth Center and Women's Wellness across from Cedars Sinai hospital in Los Angeles, where she wanted to have an all-natural water birth. In case any serious issues arose, Jordin would be escorted right over to the hospital. Three days after Jordin and her 25-year-old husband held their son in their arms for the first time, the singer revealed to People the baby was born with his umbilical cord wrapped around his neck twice. Fortunately, a midwife was able to address the situation immediately and prevent any further complications. "I didn't see it because I was facing the other way," Jordin explained on Saturday at the premiere of her new film Show Dogs, adding that Dana Sr. was panicked and "just like, 'I don't know what to do.'" "He said it almost looked like a scarf -- it was wrapped around his neck and body," the singer continued. After the midwife removed the cord, Dana Jr. was "good to go," according to Jordin. "[He] took his first breath and then [my husband] handed him to me." Now that Jordin is a mom, she admitted everything has changed -- but in a great way of course. "This is what I was meant to do," she told the magazine. "I was meant to bring him into this world, and to be his mom. My brother asked me yesterday, 'Are you ready for your life to not be about you anymore?'" "I stopped for a second," Jordin recalled, "and thought, 'I have lived a lot of life in the last 28 years. I have lived a lot and seen a lot. I am okay about it being about someone else from now on, I am good with that." Jordin shocked the world in November 2017 when she announced she had secretly married and was expecting a baby. Jordin and Dana, a model, wed in July of that year, and then the couple discovered in late August she was pregnant with their first child. "It was about five days after [Dana] moved to L.A.," Jordin previously revealed. "He comes in and I go, 'I'm pregnant.' It was such a shock for both of us. I turned around and started bawling in the closet. I'm going to be completely honest, I was like, 'Oh my gosh.' Everything has been so crazy and fast-forward." Jordin, however, said she's "the most content" she's ever been in her life. Jordin was crowned the winner of American Idol's sixth season in 2007. She defeated runner-up Blake Lewis for the title.